Why Acupuncture and Chiropractic? – What can this combination do for your horse? – Is there synergistic (combined) action between these two health care systems? – Is it really a case of one plus one equals three? Neither of these modalities are an “instead of,” nor are they a replacement for conventional veterinary medicine. Quite the contrary, they, in fact, provide an enhanced approach to veterinary care when appropriately used in conjunction with “regular traditional” veterinary medicine. Acupuncture and chiropractic simply add significantly to the veterinary profession’s ability to keep our horses performing at a level consistent with their training and help them meet their genetic potential. Musculo-skeletal problems, including lameness are the bane of the performance horse, not to mention all horsemen’s pocketbooks. If we stop to think about it, nearly all musculo-skeletal problems start as muscle dysfunction problems. Our traditional approach is, typically, a period of rest, muscle relaxants, or anti-inflammatory drugs. Unfortunately, the problems frequently reoccur after the horse is returned to full work. This is the area where either, or far better yet, both acupuncture and chiropractic can change that scenario, create better case outcomes and provide much longer lasting value. These modalities often allow us to treat the source, rather than treating the symptoms. I am frequently heard to reiterate that, “ bones, tendons, joints and even ligaments can only do what muscles tell them to do or allow them to do.” I also often refer to muscles as the “forgotten system in veterinary medicine.” As veterinarians we typically rush to the area of pain and treat that. Often we are not recognizing that if the muscles that caused the joint, tendon or ligament pain are still under the influence of too much muscle tension, we are treating only the “branch” or symptom and not influencing the “root source” of the problem. The source of a problem is often quite far removed from the problem that is manifested. 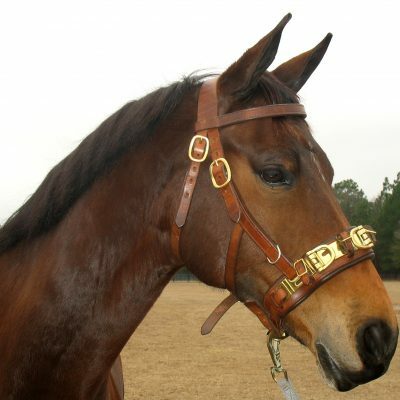 One of many classic examples is the case of suspensory ligament strain or injury. If the muscles in the wither pocket become sore and tense from a variety of sources (one of which is saddle pinching), the muscle tension response is continued down the chain of muscles on the backside of the shoulder and on down the limb to the suspensory ligament. Functioning properly, these muscles are the elastic structures that absorb huge concussive forces, but when they are held in too much tension (hypertonicity) that elasticity is lost. The suspensory ligament is supposed to take only a minor amount of the tension and, is designed to be the safety mechanism at the end of the chain. If, by the failure of the muscles to deal with the strain, the suspensory ligament is forced to do so, the consequence is strain or tearing. If the damage has not progressed to a full tearing of the suspensory ligament and only strain is present, it is quite amazing to find that after acupuncture and chiropractic treatment applied to the muscles and vertebrae forming the “wither pocket” that the ligament is no longer reactive to palpation and the pain is gone. This is often all that is necessary to halt the course of the pathology. On the other hand, if excess muscle tension is present and not corrected, that ongoing chain of tension keeps the strain on the suspensory ligament. If we do not remove this muscle tension, it delays the suspensory healing period and “lay-up” time is increased. Failure to alleviate the muscle issues also then sets the horse up for recurrence of the suspensory injury later down the line. This is an exemplary case where, the suspensory ligament is really only the symptom and not the source. So treating only the suspensory injury is treating the symptom, not removing the source. The source that needs to be addressed is the involved muscles. It is often the case that the underlying of the muscle problem may be an improper fitting saddle, etc. There is not a better modality known, than acupuncture, to release muscles. Muscles also maintain normal tension on vertebrae via their tendon attachments. However when these same muscles become too tense (shortened) the vertebral segments then, in turn, loose range of motion in their facet joints (the joints joining adjacent vertebrae) and become “fixed” (completely, or partially). When joints undergo fixation, the body reacts with inflammation that causes even more muscle tension and pain. Herein, lies the synergy of combining acupuncture and chiropractic. Acupuncture as a stand alone modality often does not alleviate all vertebral dysfunction – Chiropractic as a stand along system very often does not alleviate the muscle tension that may have started the whole process. If both the muscle issues and the chiropractic issues are not addressed, we achieve, at best, a less long lasting outcome and typically end up with what I often call “revolving door medicine.” Good, perhaps, for the practitioner pocketbook, but not for the client’s pocketbook, nor for the welfare of the horse. This should definitely not be our goal. Properly addressed, acupuncture releases the muscle tension and chiropractic restores full range of motion of the vertebrae; thus allowing the inflammation to subside. With the combination a more lasting relief can be achieved. We all know that muscles are not the only player in these chains of events. Muscles only function properly when they are given very specific and accurate information (neural input) from the brain and spinal cord. So, when vertebrae joints fail to move freely inflammation very rapidly occurs and blocks the proper transmission of signals to the brain from the muscles. In return, the signal from the brain to the muscles is impaired and the muscles remain in a hyper (too much) contracted state. Thus once again, it becomes apparent that acupuncture and chiropractic function best as a paired system and ideally the combination should be utilized. There is little argument that prevention of injury and problems is the way to go. Both acupuncture and chiropractic certainly do have value in addressing both acute and chronic conditions including lameness. Where, however, they really “shine” is in their ability to catch issues before they are full blown problems. In the case of lameness, this is when it is “sub-clinical” (not a lot of overt signs yet) and treatment can prevent a full-blown lameness. We must also recognize that our conventional/traditional approach is especially vital in acute lameness situations, as well as acute internal medical properties, so this approach is no reproach what-so-ever to the many skilled and well-trained “regular” practitioners. Through skilled palpation (touching and motioning) of both the muscles and of each vertebra, integrative medicine veterinarians can isolate dysfunctional structures before they lead to severe pathology. In other words they identify patterns and tissues and treat them pre-emptively and break the cycle. When the problems are more severe the acupuncture and chiropractic evaluations can give good indications as to what other structures need to be evaluated. This can help in deciding where and when x-rays, ultrasound, nerve blocks, endoscopic exams, etc are indicated to identify structural damage. This integrated approach so often results in much better case outcomes. Even when internal medicine problems exist, e.g. such as digestive problems, respiratory problems, reproductive problems, etc., the combination of eastern and western therapies are definitely synergistic and compatible. This speaks especially of acupuncture; though chiropractic issues set up by pain and posture can also be synergistic through the combination of traditional approach plus chiropractic. 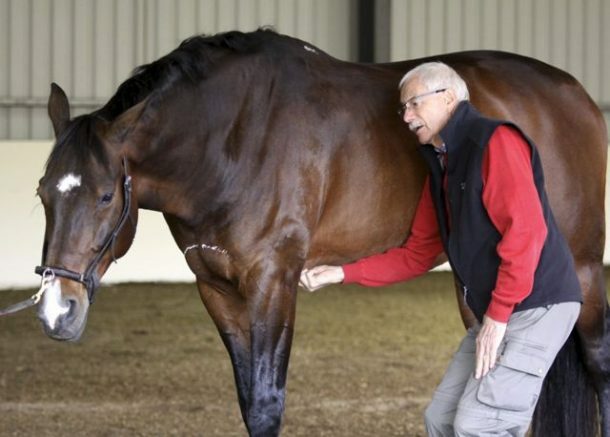 I firmly believe that since the term “doctor” means teacher, that in a “whole horse” approach we need to show our clients how to palpate and identify possible problem areas. This is good “preventative” medicine.” It is also my belief that we should instruct our clients on follow up massage, fascial release, stretches, etc. that will help minimize injury healing time and help prevent recurrences. 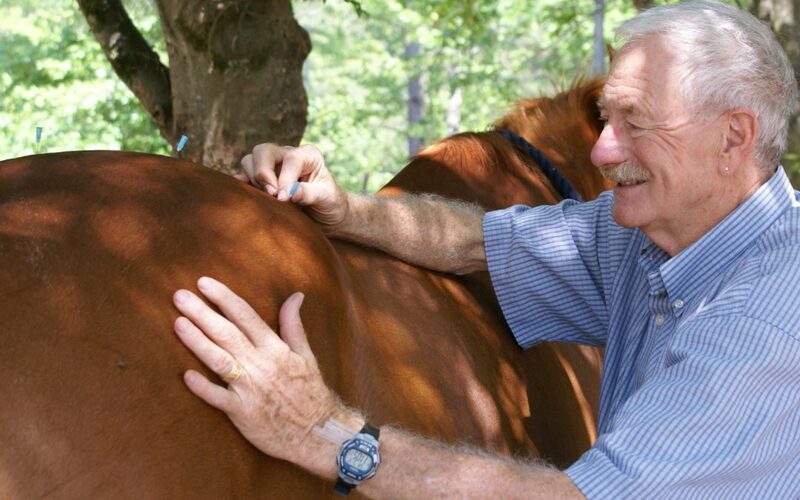 This approach is also enhanced when a knowledgeable integrative medicine practitioner can advise on saddles, bits and other tack issues since they are often true sources. Since many musculo-skeletal problems start from imbalanced foot trimming and shoeing, it is, likewise, essential that the practitioner is knowledgeable and able to advise the client on this aspect. Utilizing this more preventative and supportive approach, far fewer joints would need to be injected, fewer tendons and ligaments would be damaged, not so many backs and sacro-iliac joints would need to be injected and you, our clients, would enjoy fatter pocketbooks. Moreover, in my opinion, it should be the goal of those who practice integrated, complementary types of medicine to work closely with the primary care veterinarian in a team approach manner to provide the best care for our horses. I have, in this article, advised you, the reader, how acupuncture and chiropractic therapies can lead to long-term correction of problems, but must also point out some caveats. If the true root cause of the problem lies outside of the musculo-skeletal problem and is not corrected, the original problem will recur. If the feet are not balanced… if the saddle does not fit… if the horse has dental, bitting issues or bridle fit issues… if the horse is not balanced due to inadequate training or a rider’s imbalance or has “hard hands” – then the very best acupuncture, chiropractic, conventional medicine, rest, drugs, etc. in the world will not prevent recurrence of the problems. As with all therapies that one is not familiar with, it is very good to have a sense of skepticism and ask a lot of questions of the therapist or clinician. Let me just say that it is always a pleasure to work with a “skeptic” with an open mind. In closing, it is noteworthy to remember that the horse does not get a placebo (sugar pill) effect from either chiropractic or acupuncture. Either the horse is better or it is not! Seeing becomes knowledge and an understanding gained.